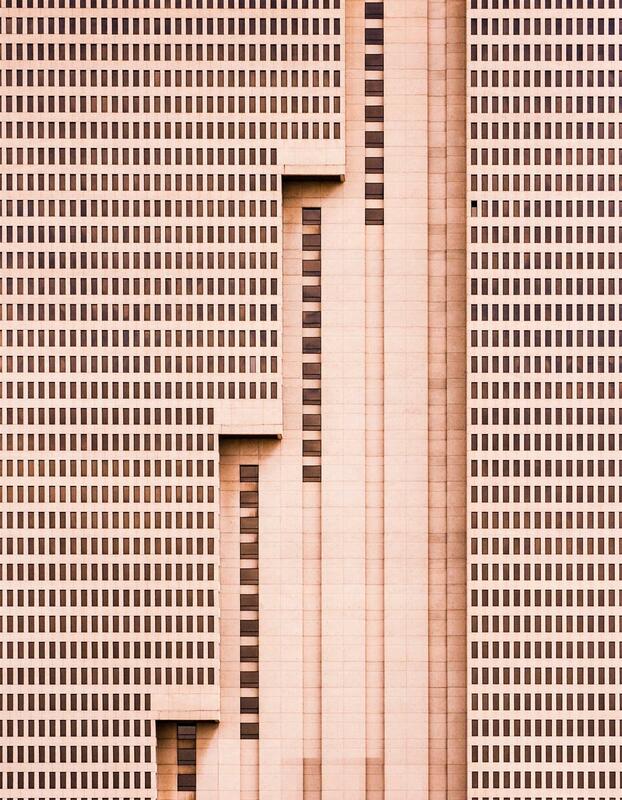 the tallest building in fort worth, texas, this simple brutalist architectural design is a unique addition to the vibrant and growing downtown landscape, with a strong, repetitive pattern of windows being interrupted by meticulous, powerful vertical lines. it is the first and the last building you see when driving past this charming texas town. it also serves as a prominent symbol of both economic and urban activity in the surrounding downtown area, with the interesting jonathan borofsky aluminum sculpture placed near.